In the name of one thing, they hang a banner declaring the character of God, his BEAUTIFUL, AMAZING, PATIENT LOVE. The problem with society’s use of the Rainbow today is the ironic REAL DECLARATION they unknowingly make. If you fly the flag, you preach the Bible to all God’s faithful people. You are reminding us to pray for you, and hope for you, and to hope for us all. The Rainbow is a Promise that He Will Be Patient with Us. 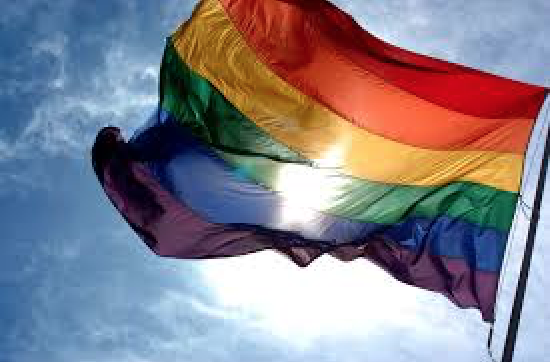 With every use of these beautiful colors, the LGBT community is reminding the rest of us that God is patient and loving, slow to anger, abounding in love and faithfulness. You say nothing else. Patience Means Waiting for Change. Use the flag, dear friends, declare your hatred of him-whom-you-do-not-know, because it makes us love you even more. It makes us care even more to tell you what the Rainbow really means for you. He’s giving you a chance. But don’t waste your time, don’t waste this chance. It belongs to those whose names are in the Lamb’s Book of Life. It always has. It’s his Rainbow we will see for eternity, around the Throne in Heaven. You have rightly taken it, for in it, the beautiful sovereign God has given his people another reminder. A banner of hope. He will not yet sweep his punishment on this world. Not until the last preChristian repents, as Peter shows. Your flag is a modern-day miracle for us. From God. To remind us. Use the flag. But with each flutter, remember your moments are ticking down. You are mortal and have the wonderfully long but painfully short life to figure this Rainbow out. We all have these desires waging war in us to do this thing or that. These desires all feel natural. But natural does not by nature mean good. One sin is not worse than any other. What matters is that we see it as sin. Jesus loved sinners, but not the sin. He called sin sin, and even turned away those who had eager hearts but were not willing to let go of the smallest of sins. We are all greedy, holding on to our “PRECIOUS” like Gollum. We are all idolaters, worshipping ourselves narcissistically rather than worshipping God. None of us qualify to enter the Kingdom of God unless we call sin sin and look to the cross of Christ as our only escape from that dreadful day. You May Hate Me for What I Say. 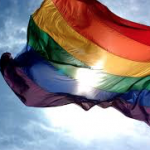 You may do all sorts of things against me because the beautiful Rainbow flag you use speaks to me of God’s great promises for the world. But you won’t stop the direction my mind goes when I see the flag. It is etched into my soul. The Rainbow is God’s signature on a contract. God is patient, not wanting any to perish but all to come to repentance.